An attitude of confidence can take you a long way. Even if you don’t know everything about the topic you are speaking about, having confidence in what you do know can gain you more respect. Follow through is an important skill we often over look. How often do we talk about ideas or plans, but no one ever actually follows up? I’ve found that when you start becoming action-driven though, it can be addictive — that’s how my most recent trip to D.C. happened. It can be easy to get caught up in the excitement of traveling. But it doesn’t hurt to just sit, soak in the view, and reflect. In fact, the moments where I choose to slow down and enjoy the present often tend to be the most impactful. I’ve come to understand that I don’t need to see everything when I’m traveling. It’s okay to see less and appreciate it more. 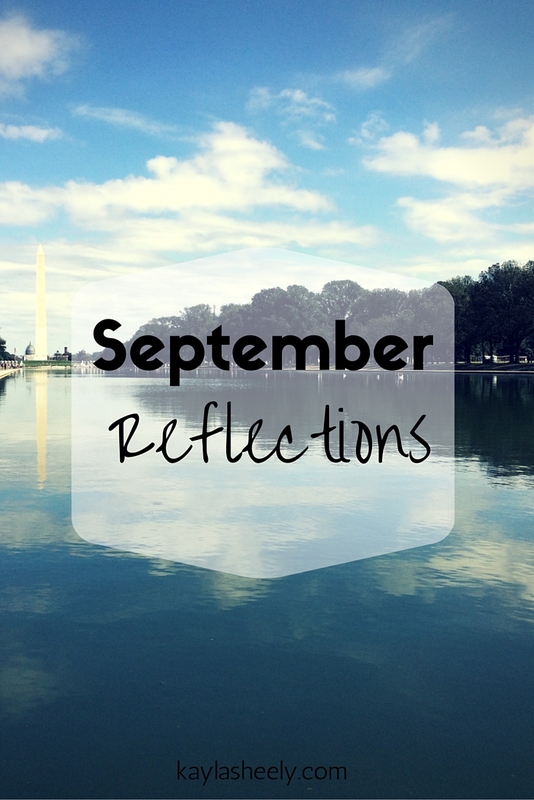 What did September teach you? I’d love to hear how you are growing!